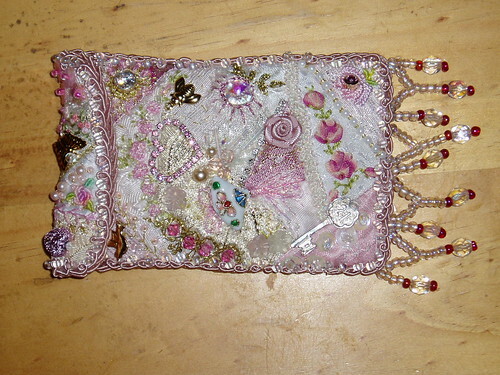 This ATC size purse was for Amanda who has just turned 21. She chose her favourite colour scheme of white, pink and pastels although she didn't see the actual purse until it was finished. I loved sewing this one and also choosing the various doo-dad with which to trim it including the Stirling silver 21st key. The beaded fringe at the bottom was made with glass beads and Swarvoski crystals. I'm sure many girls/ladies are overjoyed with your sensational gifts! I wasn't sure where to post b'cause all of these purseses are just to die for. You are so talented. Oh my! Vivienne, your work is lovely! I could look at these all day!